You must think about language in the beginning of your world-building, because the decisions you make about it, will influence a lot of your future work. Of course, this post is not a tutorial on how to create a language itself, given that the subject is extremely wide, but more as to guide you through the various options you have as you are creating your world. The very first decision to make when thinking about language is this: will you create a separate language for your world or not? I know its tempting to say ‘Yes, I want a new language,’ but once you read forward and understand the challenges it presents, you might re-consider. If you are creating your world for a book, how important is the fact that the characters speak a new language, and even more importantly, how necessary is that you actually create that new language? To understand why the answer is not easy, think about a book we all (should) know: Alice in Wonderland. Let me ask you this: what is the spoken language in Wonderland? You’ll probably say: English, but is it? Would the story be different if it wasn’t English? What if it was Wonderlaneze? The book would still be written in English, so the fact that there is a different language spoken would, in fact, be transparent. Here’s another example: how many languages are spoken in the Lord of the Rings universe, by J.R.R. Tolkien? The answer is: about twenty. And Tolkien, a linguist himself, not only created all those languages, he developed them. He created phonology, grammar, vocabulary, common rules, scripts, derivations and exceptions and so on. Now, unless you are a LOTR fanatic, and you are just a person who read the books and/or saw the movie: did you know that? Probably not. All you need to know is that there are some languages, but other than that you don’t care, because that would distract from the story. There are pros and cons to each of these, so let’s look at them in detail. This is obviously the most convenient choice because you do not need to tie yourself with the additional burden of creating a new language. You will simply write the book in your language and let the characters speak in your language (or whatever language your book was translated into), and nobody has to worry about anything. Most books fall into this first category, by and large. As a reader, you kind of know there must be a different language in the story, especially if the story takes place in a made-up world. Even if your story is a futuristic sci/fi tale, based on our real Universe, the chance that an exact replica of a human language might show up somewhere else in the galaxy is close to zero. Just look at our own world: countries just miles away speak completely different languages. So, as a reader, you know that must be the case, but you are not told about it and you probably don’t care. Probably fewer books fall into the second category. Here the author makes it a point to specify that there is a different language, but that language is not developed nor explained. It might be used as a means for plot, as in XYZ speaks one language and therefore ABC, the eavesdropper, doesn’t understand it. It’s a useful tool, if used correctly. This one works well when you are dealing with different races in a world and you want to associate a language to each race. What works really well here is this hack: create also an universal language to go around the communications barriers. 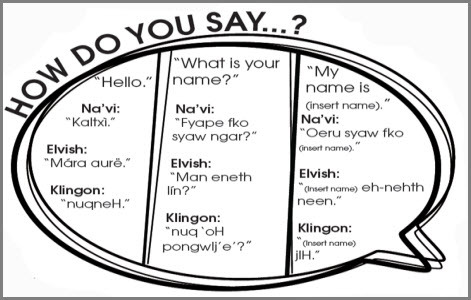 In a fantasy world, maybe this language is the “old language” or the “language of the Gods.” In a sci/fi world, maybe there is a device that is able to translate between languages on the spot. In this way, you create the complexity of a realistic world by mentioning the languages, but you also offer a solution as to how people go around communicating. It gets even simpler if your plot takes place in a small geographic space, where you are limited to one language. So, in this category, you are not only letting the reader assume there are multiple languages, you spell it out, but that’s about it. In the third category you have those authors that enjoy (and have the time) to dig deeper into language creation. This category is quite close to the previous one, but in here, you might actually have some characters say something in their language, or perhaps present something written, like a lost scroll or some carvings in a cave. He stared at them, unable to understand what they were saying. “Hubba-bubba lumpa-drumpa,” the stranger said and Jin stared at him with wide eyes. So, now you are introducing some unique words to your world and you let the reader experience first-hand not being able to understand them. Lastly, you have the master language creators. They spend the time to create a complete new language for their world. But, to no one’s surprise, the books in the last category feel a lot like the books in the third category, and by now it’s pretty clear why. Tolkien worked on his languages for 63 years. He created about 20 different languages. That is a life-time commitment. I don’t say you shouldn’t do it, but be prepared for a very daunting task. The decision you make about the languages in your fantasy world is going to influence the difficulty of writing, but, more importantly, the difficulty of reading. For beginning writers, I suggest choosing category 1 or 2. Once you get better at creating worlds, you should move to category 3. I would never recommend anyone to spend the time to create a full language, unless this really becomes your hobby. People are visual. We understand differences when we see things that look different. From this perspective, using a different writing system to signify a different language is a good way to make a fast and deep impact. Of course, we are talking about the visual representation of the alphabet. The way it usually works is a language has a certain phonology (the way it sounds) and then it has a certain visual representation (alphabet) and a set of rules that explain how to read the alphabet so that it sounds like the language. Unless you have a frame of reference, it is usually hard to understand how to read an alphabet. For example, for some this: /ˈθɜroʊ, ˈθʌroʊ/ makes no sense. It is in fact the IPA (International Phonetic Alphabet) representation of the word ‘thorough.’ So, the IPA standard is the frame of reference. If you learn that and apply it to any language you can figure out how to “say” the sounds in that language. Script images and text copyright by http://www.omniglot.com/. Browse for more fictional alphabets at Omniglot. I think the critical thing you should take from this article is this: don’t make an effort in creating a language just for the sake of having one, but if you do, make sure it is unique, interesting and doesn’t take the focus away from your story and from your characters. As I mentioned above, everyone expects your fantasy world to have a different language, just like they expect magic, and strange creatures, and things that are physically impossible in our world. But most of all, the readers expect a good story and amazing characters. Language, just like setting, will add to the general look-and-feel of the story, but it should never be the focus. That of course, unless your story is specifically about language. If your story is the story of an alien Jean François Champollion, uncovering the secrets of a future world’s language in hopes of saving the planet, then by all means, go crazy! If you want to study more about fictional languages, Wikipedia has a pretty vast list of constructed languages, with background and description. Lulian Lonescu was born and raised in Bucharest, Romania, where I earned my Bachelor’s in Finance. He moved to the U.S. during 2001, continued my studies and eventually became a CPA. I practice my profession at a translation company in downtown Brooklyn and he lives in New Jersey with his wife and son. He is a writer of fantasy and science fiction and to date has published a little over a dozen short stories in various markets. He is currently working on two fantasy novels and a sci/fi series. He hopes that writing and editing can one day become his full-time job. He is running a fiction writing blog at www.fantasyscroll.com, and a personal blog at www.iulianionescu.com. 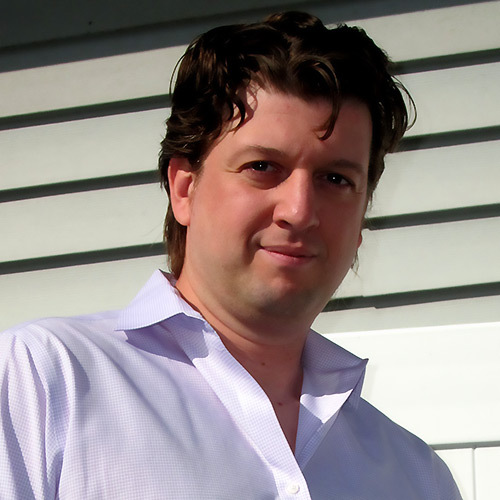 Starting with 2014, He is also the Editor-in-Chief of Fantasy Scroll Magazine (http://www.fantasyscrollmag.com), a new market featuring fantasy, science fiction, horror, and paranormal short stories.